Subway customers have the opportunity to donate funds to Metro Meals on Wheels at the register. The generous donation is part of the restaurant’s Subway Cares program for the month of September in the Boise area. As part of the month-long promotion, Subway is providing sandwiches to homebound seniors in Ada County through the Metro Meals on Wheels program on September 13. “We are so grateful to Subway for selecting us as their Subway Cares partner in the Boise area during September,” stated Grant Jones, director of Metro Meals on Wheels. “This kind of partnership is so valuable to the seniors that we serve, and the support from Subway truly helps them remain independent in their own homes." Visit Subway this month and support Metro Meals on Wheels! Want to volunteer, but feel that you can’t because you work during the day? Then you should form an Office Delivery Team! If your organization (large or small) is looking for ways to volunteer, Metro Meals on Wheels is a great place to start. Office Delivery Teams may consist of two or more individuals who agree to take turns delivering meals to homebound citizens in Ada County. Deliveries take place anywhere between 11:00 a.m. and 1:00 p.m. and are designed to take no longer than an hour. Meals are provided for the volunteers so they don’t have to take any more time away from work than is necessary. By scheduling deliveries out over the course of a year, your Office Delivery Team can block out time far in advance. Once a month is a good frequency for most volunteers; it’s not an overwhelming time commitment, but yet frequent enough for volunteers to develop familiarity with the route and get to know the seniors. Companies that currently have Office Delivery Teams include Boise Parks & Recreation, Micron, Power Engineers, and Group One. If your workplace is interested in forming an Office Delivery Team, or you would like more information, contact Cheryl Johnson, Metro Meals on Wheels Volunteer Coordinator, at 208-321-0031, or cjohnson@metromealsonwheels.net. We look forward to your workplace joining this much-rewarding volunteer opportunity! 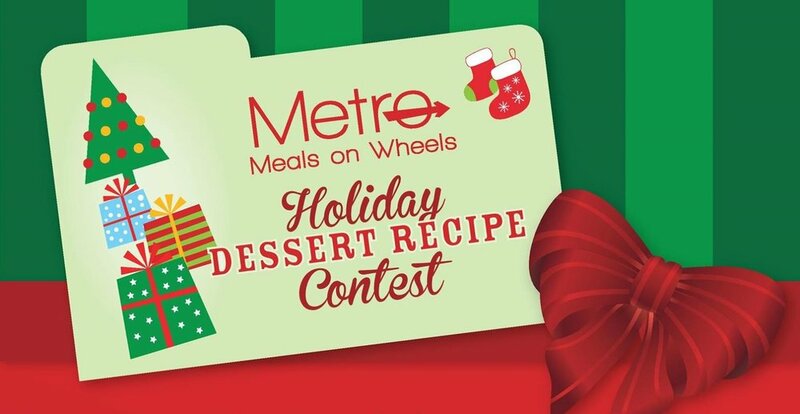 Patty Hamm is our 2017 Holiday Dessert Recipe Contest winner! 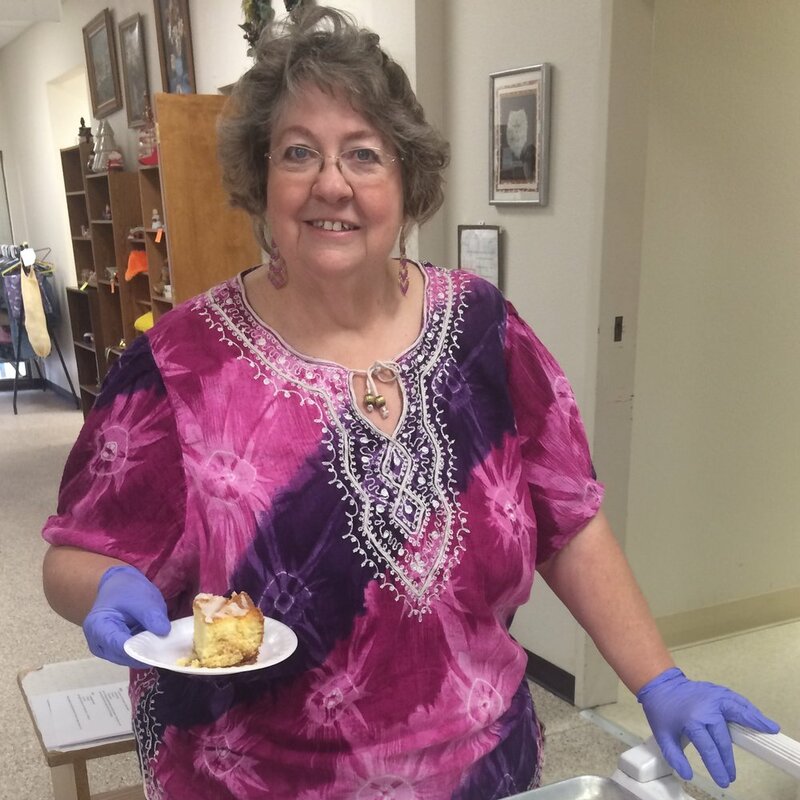 She served her Decadent Cinnamon Roll Swirl Cake to the Kuna Congregate folks on December 20th and received rave reviews. Patty says this cake is really wonderful served slightly warm with a dollop of whipped cream on top. You can check out the full recipe below. Thank you Patty for making the holidays a little brighter (and sweeter) for the seniors served by Metro Meals on Wheels! In a large bowl, mix all the ingredients together except for the butter. Once mixed, slowly pour in the butter. Pour in a greased 9x13 pan. Mix all the topping ingredients together until well combined. Drop evenly over the batter and swirl with a knife. Bake at 350 degrees for 30-40 minutes. Mix together and drizzle over the cake while it is still warm. Enjoy! As part of its 50th anniversary events, Subaru of America, Inc. donated 50 vehicles to Meals on Wheels America to be used in the delivery of 53,000 meals to an additional 3,700 seniors across 39 states. Metro Meals on Wheels was one of these lucky recipients! Subaru has supported Meals on Wheels for the last nine years through Share the Love, contributing more than $12 million to Meals on Wheels America and providing more than 1.7 million nutritious meals, friendly visits and safety checks to seniors in communities nationwide. The company’s "50 Cars for 50 Years" vehicle donation will enable Meals on Wheels programs to deliver more nutritious meals and moments of companionship, expanding its reach to seniors in need. The Subaru and Meals on Wheels partnership is part of Subaru Loves to Help, part of the automaker’s larger Subaru Love Promise Community Commitment effort dedicated to making a positive impact on local communities across the country. Each 2018 Subaru Outback donated will be delivered to local retailers and wrapped with Meals on Wheels America and ‘Subaru Loves to Help’ co-branding.